Nihal's main research interest is in the social production of space. His work focuses on lived spaces; how ordinary people negotiate/transform absolute and abstract spaces and produce (lived) spaces for their daily activities and cultural practices. Highlighting how Asian cities have become databases for external theories and how much we do not know about Asian cities, Transforming Asian Cities calls for the study of Asian cities on their own terms. Addressing a huge gap left in the work of Lefebvre and Harvey, People's Spaces attempts to address lived spaces, how people negotiate/create their own spaces. His first book Decolonizing Ceylon maps the history of Sri Lankan postcolonial society through the politics of space. The two-time Fulbright Scholar (China and Myanmar) was Senior Research Fellow at the National University of Singapore and King Mongkut Institute (KMITL) at Bangkok. He received three Fulbright-Hays awards and was nominated for Fukuoka, Heiskell and Malone awards. Besides the USA, Nihal has taught in China, Germany, India, Italy, Myanmar, Nepal, Sri Lanka and Thailand. 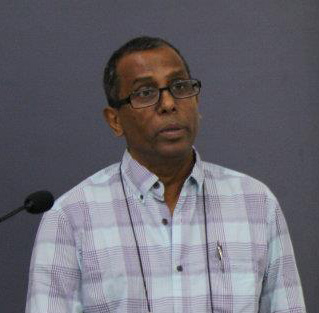 His publications include Importing planning problems; the Planner’s City; Contesting Modernities in Chandigarh; and Feminizing the City, People's Spaces; Transforming Asian Cities (co-eds); Decolonizing Ceylon. People's Spaces investigates how ordinary people produce spaces for their daily activities and cultural practices within existing conditions. At the base is the conflict between abstract and lived spaces (i.e., the provided/available spaces and the spatial needs) and the constant pushing of the boundary between these by the authorities and people. The processes, from the people's side, range from nibbling into abstract spaces to directly producing lived space. People's Spaces is a major work on lived space that fills a gaping hole in makes the study of social space. "Transforming Asian Cities: Urban and Planning Practices"
The keynote uses Asian experiences to understand urban and planning history. In so doing, it validates non-Western urban histories and spatial experiences to understand urban and planning history.